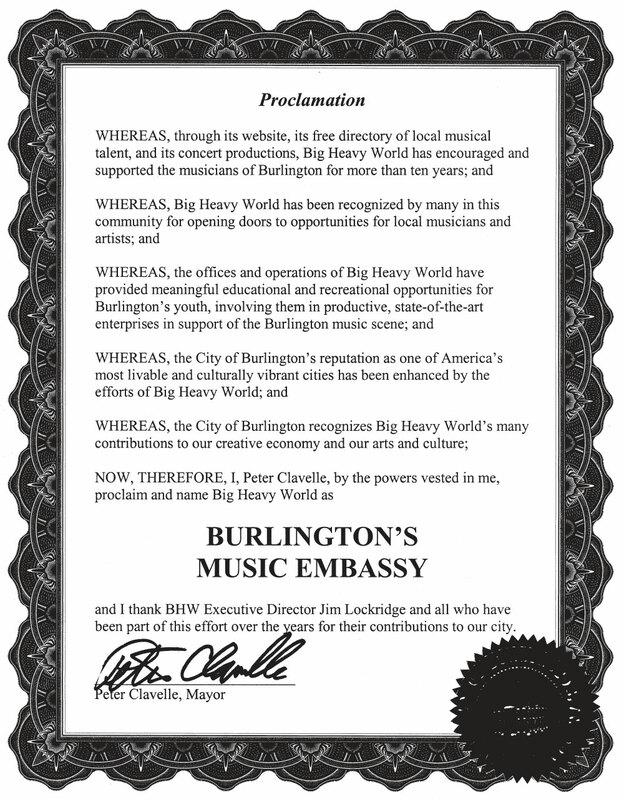 — Jimmy Swift, Artistic Director, First Night Burlington Inc.
“Big Heavy World has been a crucial and valuable resource for the local music community in many ways since they first formed. 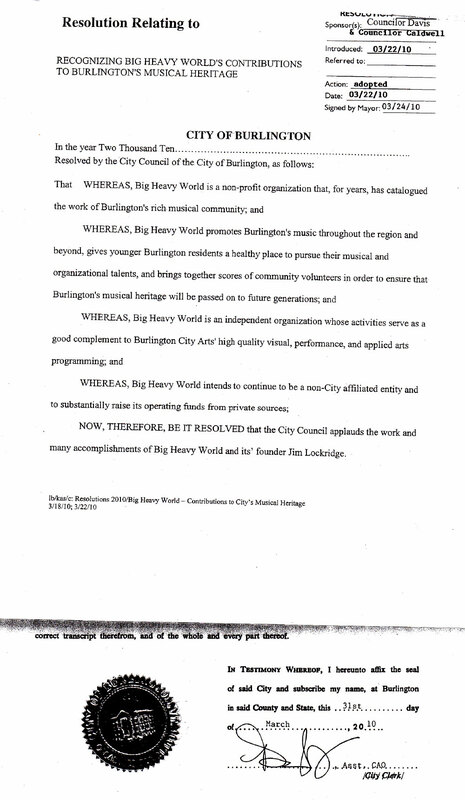 I became involved with them over five years ago, starting out on a limited basis using their website as a means of a learning about local music and as a place to purchase CDs of all styles of local music. 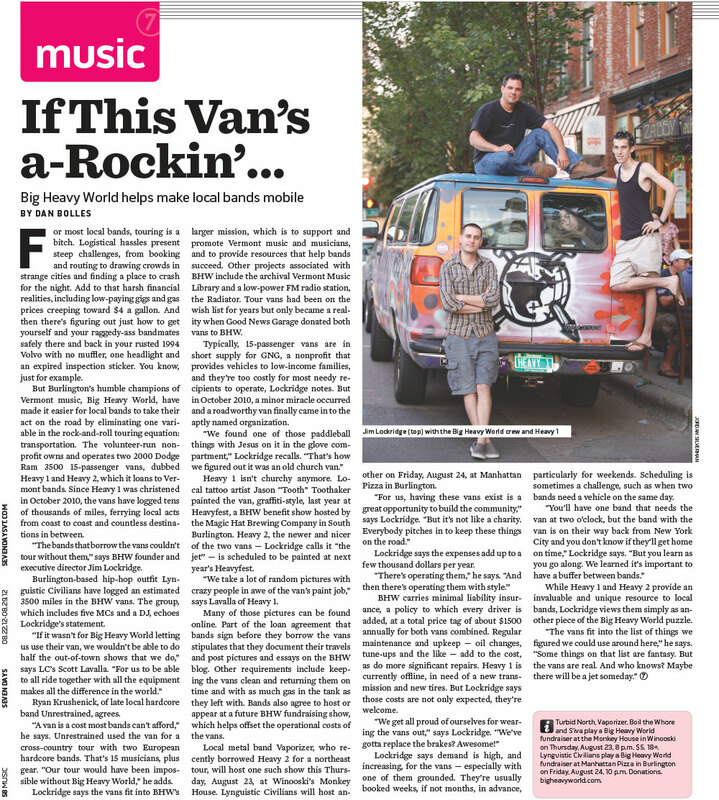 With the site offering so much valuable information regarding the local scenes in Vermont, I found myself on the site every day, mingling on the message board with all kinds of local bands and musicians.